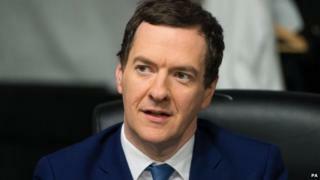 Chancellor George Osborne's Budget is to confirm the end of inheritance tax on family homes worth up to £1m. He is expected to tell MPs on Wednesday that the threshold at which the tax is levied will rise for couples from £650,000 after April 2017. Writing in The Times, PM David Cameron and Mr Osborne said those who worked for their homes should be able to pass them on to family members. The move fulfils a key pledge made in the Conservatives' election manifesto. Mr Cameron and Mr Osborne also unveiled housing measures to help people buy and build their own home. The inheritance tax policy will be funded by limiting the amount of tax relief on pension contributions given to those earning more than £150,000 a year. In a joint article, Mr Cameron and Mr Osborne write: "As we promised in our manifesto, we'll take the family home out of inheritance tax for all but the richest." They add: "It can only be right that when you've worked hard to own your own home, it will go to your family and not the taxman." Media captionBrandon Lewis MP, housing and planning minister: "The richest will still be paying inheritance tax"
The Taxpayers' Alliance (TPA) - a right-leaning pressure group - said it "broadly welcomed" the end of inheritance tax, but said flaws in the proposals meant there could be "perverse incentives" for older people to sell all of their assets to buy a bigger home and pass it on tax-free when they died. Andy Silvester, campaigns director at the TPA, said: "Inheritance tax is one of those things, that even for people who frankly would not be hit by it at the moment, is a really unpopular tax. "People find it fundamentally unfair that income you've already been taxed on in order to buy your house is taxed on when you die. "In parts of the country the really wealthy are not necessarily living in £1m houses." But Mr Silvester said there was a danger the policy could increase house prices and said "radical planning liberalisation" was needed to build more homes and prevent house prices from rising. Mr Osborne has been keen on the idea for nearly a decade, BBC political correspondent Chris Mason said. Before the election, the chancellor told the BBC the plan "supports the basic human instinct to provide for your children". At present, inheritance tax is payable at 40% on the value of an estate in excess of the tax-free allowance of £325,000 per person. Married couples and civil partners can pass the allowance on to each other. From April 2017 parents will each be offered a further £175,000 "family home allowance" to enable them to pass property on to children tax-free after their death. This will be added to the existing £325,000 inheritance tax threshold, bringing the total transferable tax-free allowance from both parents in a married couple or civil partnership to £1m. Since the election, it is reported the plan has been tweaked so that where couples have "downsized" to a smaller property after their children have left home, the allowance will still apply to the old family home. Critics are expected to argue the plan will benefit the wealthiest in society. Last year, the estates of 35,000 were subject to inheritance tax; around 5% of the total. Before the general election, the Institute for Fiscal Studies said of the Tory plan: "This (and in fact any) IHT cut will also go disproportionately to those towards the top of the income distribution". In April Labour's Chris Leslie, currently the party's shadow chancellor, said the policy was a "panicky promise" from the Conservatives. He said at the time: "The Tories made a promise on inheritance tax before the last election and they broke it. "At a time when our NHS is in crisis and most working people are paying more under the Tories, it cannot be a priority to spend £1bn on a policy which the Treasury says would not apply to 90% of estates." Who wins from inheritance tax giveaway?